Following screenshots will help you to view our software. 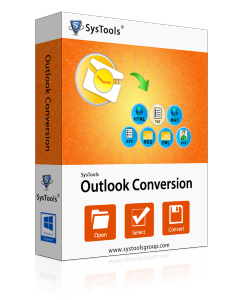 You can view how Outlook Conversion software will look like on your system after you run it on your machine in order to perform the conversion process. Screenshot of Outlook Conversion software when software ask user to convert configured Outlook PST file or to browse & export orphan Outlook PST file. Now download the Demo version of Outlook Conversion tool and analyze the conversion process of software. With Demo version you can convert your first 15 emails per folders at a time. This software is free to download and use. You don't have to pay anything to download and use our product to convert Outlook PST files. But for complete PST conversion, you should get the full license of Outlook Conversion software.